NZ Beech forest canopy. Mixed Red Beech (Maori: tawhai raunui, Fuscospora fusca, Syn Nothofagus fusca) and Silver Beech (Maori: tawhai, Lophozonia menziesii, Syn Nothofagus menziesii). Nothofagaceae. Early summer, Nelson Lakes National Park, Tasman District, Tasman Region, New Zealand (NZ) stock photo image from New Zealand (NZ). NZ Beech forest canopy. Mixed Red Beech (Maori: tawhai raunui, Fuscospora fusca, Syn Nothofagus fusca) and Silver Beech (Maori: tawhai, Lophozonia menziesii, Syn Nothofagus menziesii). Nothofagaceae. 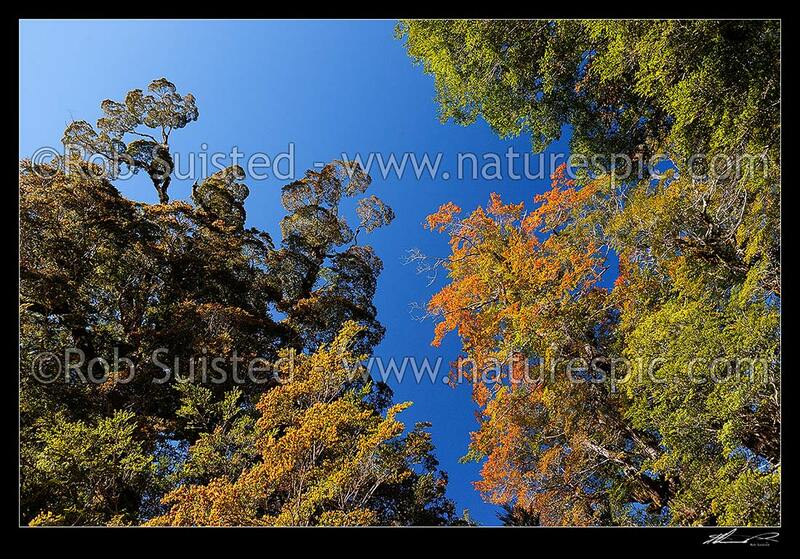 Early summer, Nelson Lakes National Park, Tasman District, Tasman Region, New Zealand (NZ) stock photo image (Picture ID #: 49682FP00).